If you follow me on Instagram you will have seen I was in Los Angeles last week. It was my first time visiting this part of America and I must say I had the best time. 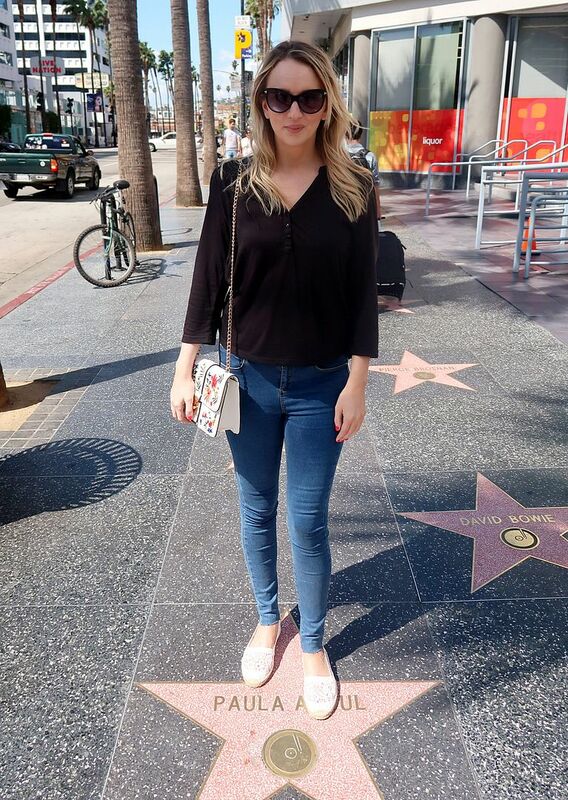 I absolutely loved L.A, the vibe is very chilled, I don’t think I have been anywhere, not even a beach break where I have felt as chilled out as I have in Los Angeles. The weather was glorious sunshine and with the palms blowing in the wind you can really explore at your own pace. Danny and I spent five days in L.A before heading to Vegas to celebrate my birthday, but that’s for another post. I had asked a lot of people about L.A before I went. Many had passed on recommendations, many loved, many disliked, so I was really unsure what I would make of it myself. With some even passing comment to say that if you like New York you wouldn’t like Los Angeles. I love New York so I had my reservations. I feel that couldn’t have been more wrong, they are both very different. New York is like London on steroids and I love it for that, whereas Los Angeles is über chilled, über being the word here as we had to Uber & Lyft our way around town. We both really enjoyed our time here. 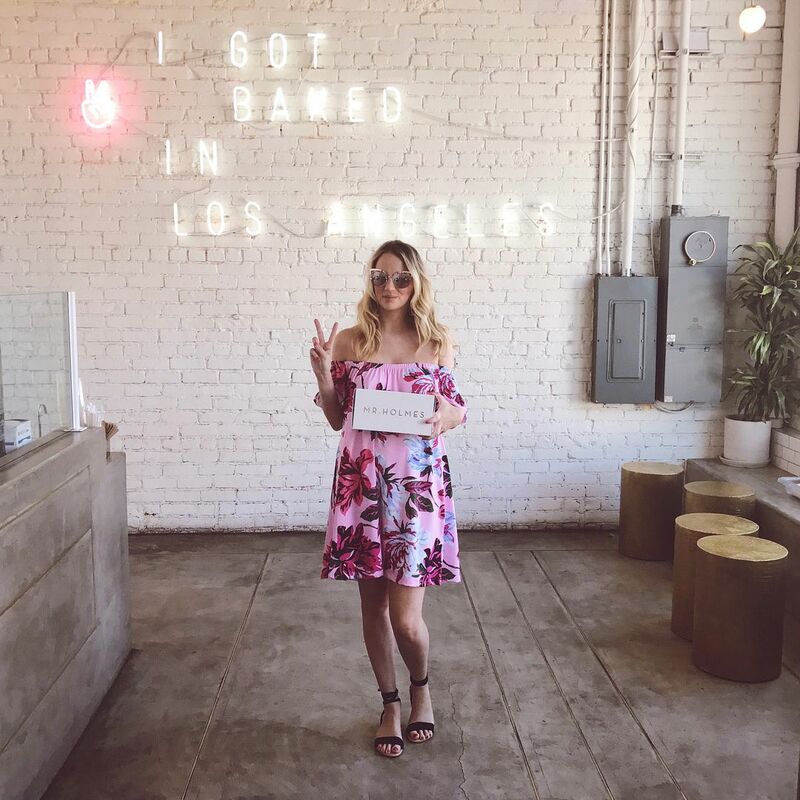 My 10 things to do in New York & 10 things to do in Barcelona posts have both been very popular so I thought I would share ten things I did when visiting L.A rather than a long-winded what I did every day type post as I thought this would be more helpful. So if you are planning a trip to Los Angeles, here are my suggestions. 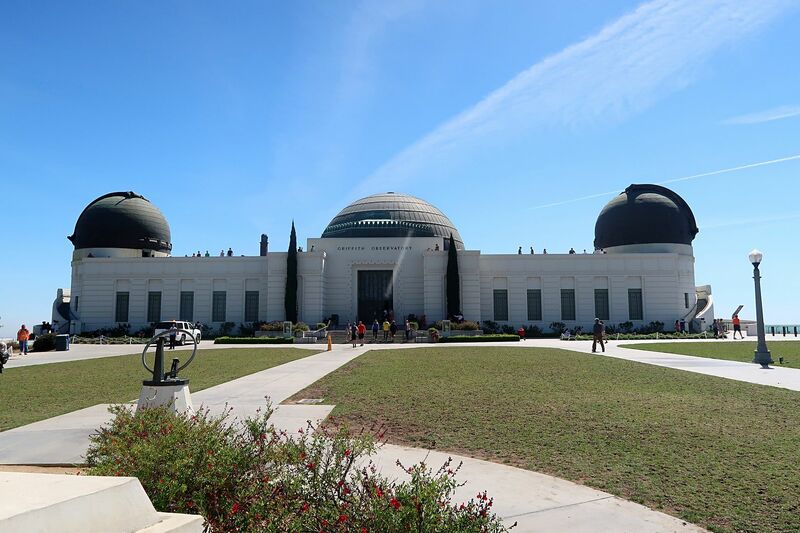 The Griffith Observatory was definitely a highlight of our trip. It is featured in many movies but most recently in La La Land. I wanted to go here for the view across Hollywood and you can also get an amazing view of the Hollywood sign. Inside there is a Planetarium and all the science things you would expect. The best thing is it’s free. We had lunch here at the Wolfgang Puck Market, which had plenty of sandwiches and lunch options. We visited during the day, but sunset is said to be a very popular time. To get there we just took a cab which dropped us off at the top of the hill. It was pretty surreal to be having lunch looking at the Hollywood sign, but one I would definitely recommend. I came across Au Fudge on a list of restaurants to visit in L.A and I am so glad I did. Au Fudge is owned by Jessica Biel and it is the cutest restaurant. What sold me to come here was one thing on the menu, the dessert menu that is and this was churro sliders – yep you heard that right. We went here for lunch on our first day, which is what led us to Melrose Avenue and it was such a beautiful area. We even saw a few filmings going on and when we got to Au Fudge there was also a filming happening too. I have no idea what for, but you really felt like you were in Los Angeles. 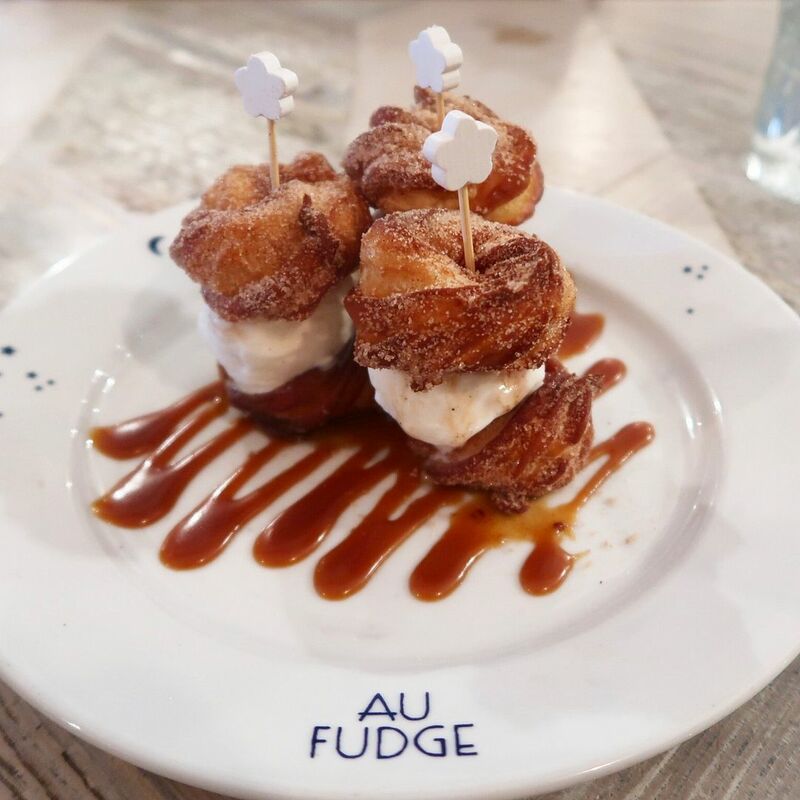 Au Fudge is very family friendly, I can see a lot of mums having coffee mornings here as Jessica’s design of the restaurant sees a kid’s play area adjoining and also an additional kid’s menu, which we even saw some ordering from that weren’t kids! We had a great lunch here, fancy chicken nuggets in a little piggie shaped bowl and of course the outstanding churro sliders, which if you are wondering is churros and ice-cream. 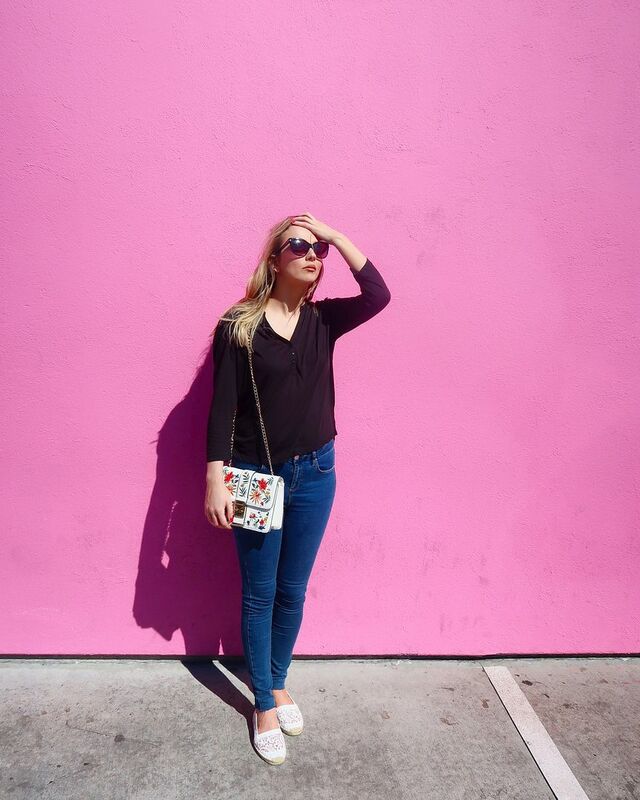 If you’re all about the Instagram shots in Los Angeles, then I would recommend heading to the pink wall of the Paul Smith store on Melrose Avenue. I accidentally came across this after our lunch at Au Fudge, hence the casual unplanned outfit. But if you are after that shot, put on your best outfit, practice your pose and head on down. Melrose Avenue is so pretty and has so many Instagram type shots, with lots of coloured and fun walls. It was lovely just to walk down here (even though no-one walks anywhere) and see all the pretty shops, such as the Marc Jacobs shop and the sister shop BookMarc. You’ll also find restaurants here like Cecconi’s and Craig’s, which is a very popular choice in L.A with celebrities. Our hotel The Garland was situated not far from Universal Studios in Hollywood and they offered a free shuttle bus for guests of the hotel to the Studios, which was super handy. The hotel was lovely and if you are planning on a few days at Universal Studios I would highly recommend staying here. 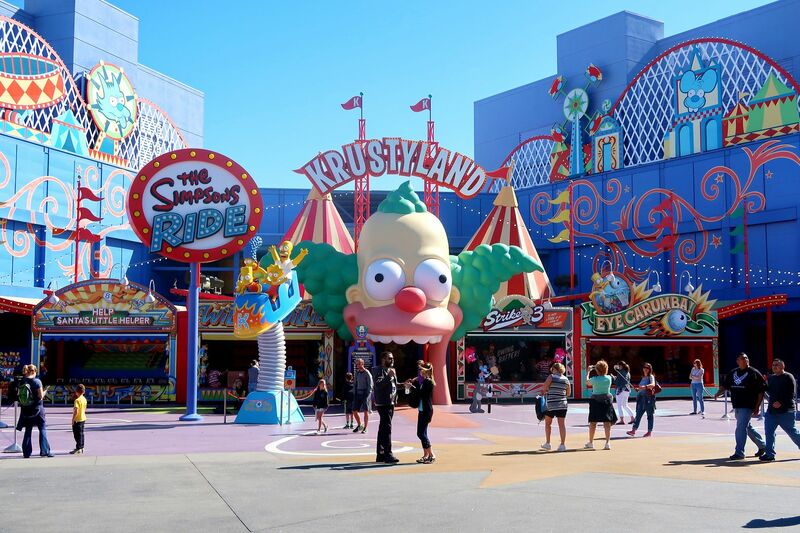 If Universal Studios isn’t on your list, you may however feel a little further out. 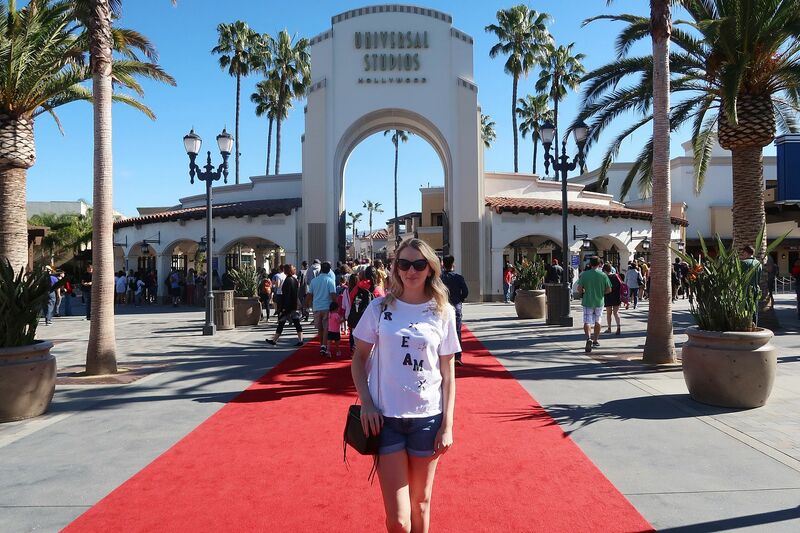 We headed to Universal Studios on our second day, it was a scorcher of a day weather wise and I am so glad I came prepared with shorts, t-short and comfy trainers. 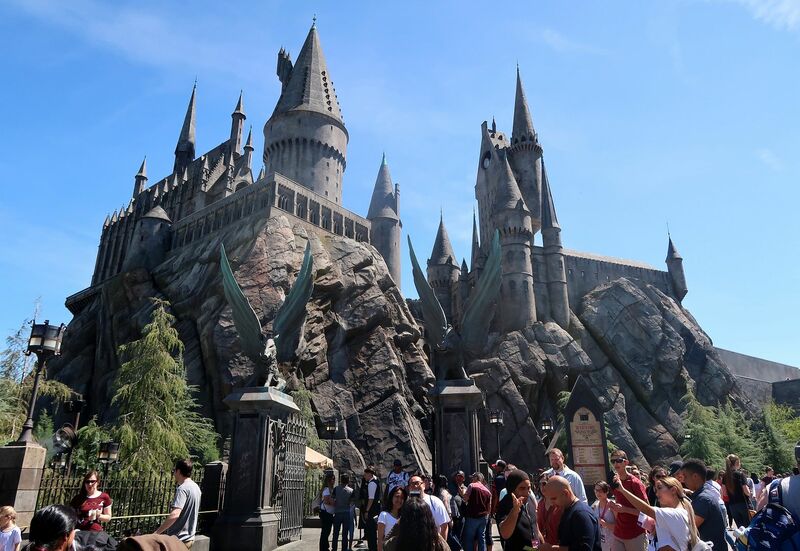 There is so much to see and we started with the Studio Tour, which I would say was my highlight from Universal Studios, seeing behind the scenes on sets such as Desperate Housewives and Bates Motel. You also have some rides as part of the tour, I throughly enjoyed the King Kong experience. A great one to start off the day. You’ll also find Harry Potter which was fantastic and the set was so realistic, especially as they made each shop an actual shop, from sweet shops with chocolate frogs to buying your own robes. There were so many kids and adults walking around in full attire. The Hogwarts Castle which was not actually used in the movie on this scale is very impressive. Two things I would recommend is the front of line passes if you can. Each ride we by-passed large queues and also got the best spots inside for the seats. It just made life all that more easier. Plus make sure to head to the animal stars show, it’s one not to miss. 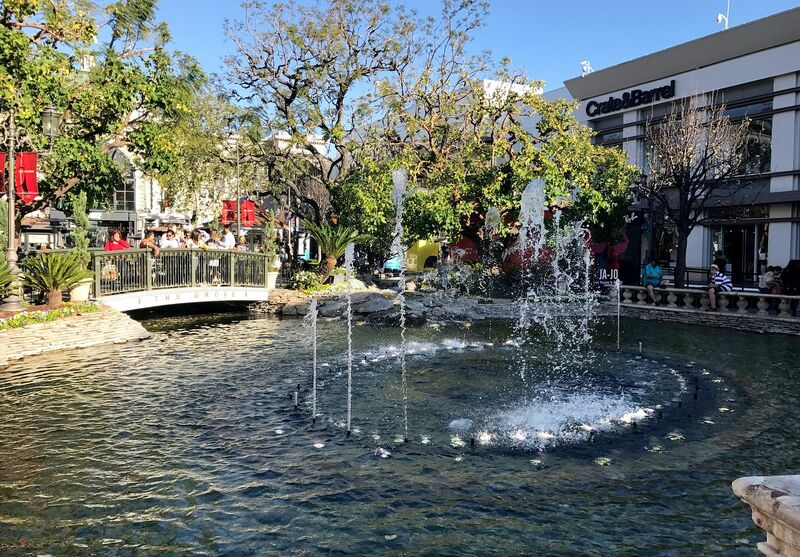 The Grove is an outdoor shopping mall, with plenty of shopping, places to eat and also a cinema. There are some great shops here like Nordstrom, Sephora, Splendid and J.Crew and always something to see. When we visited they were setting up an Easter event, as well as selling Snapchat glasses! Just down from The Grove is also the popular Farmer’s Market, where you will find even more choices for food. A perfect way to spend a chilled afternoon. Being my first visit to Los Angeles, the Walk of Fame was top of my list. One thing I didn’t realise was how long it actually is and that it runs along both sides of the street. It’s fun standing on each name (I was pretending this was mine, let’s forget the Abdul part shall we) and also when you reach the Chinese Theatre you will find all the celebrity hand prints. It was really fun to see this in real-life, but this area of Hollywood is pretty dodgy, filled with tourist traps and generally not a part of town I’d stick around in. Coming here as the first part of your trip, which I imagine most do could put you off, but don’t let it. See the stars and move onto the rest of beautiful L.A! When we arrived at The Ivy we were greeted with a glass of complimentary champagne as we waited for our table to be ready and I knew instantly this was my kind of place. We had a table outside which was decorated with bright colourful flowers, which was perfect in the sunshine. There is a pretty extensive menu and cocktail list, plus nothing is too much trouble at all. 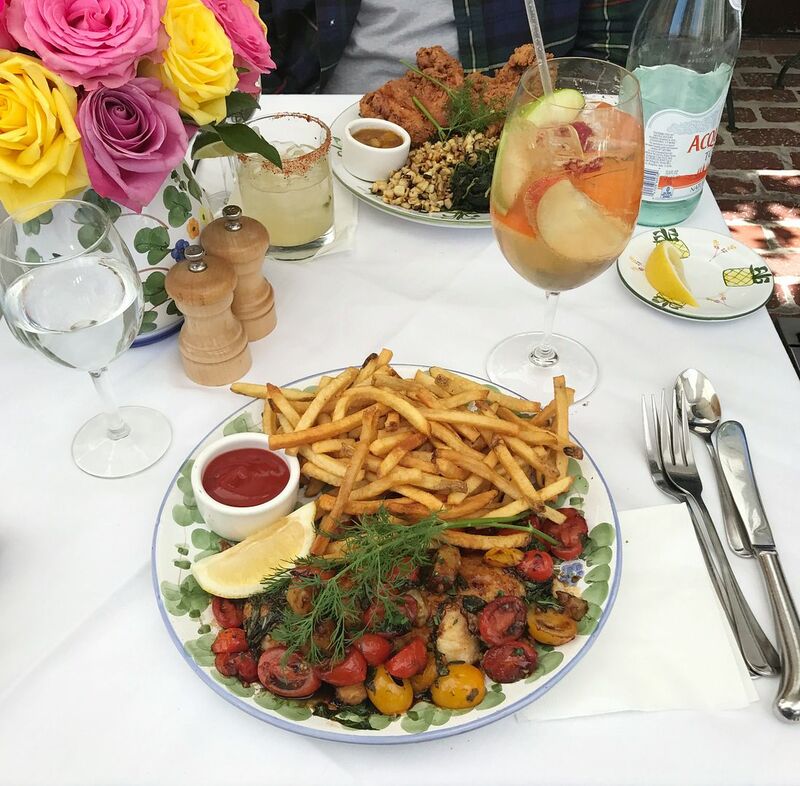 I had the sea bass which came with plenty of tomatoes and also fries, but you can choose whichever side you prefer, it was huge. I also chose a Sangria cocktail which at $24 may be the most expensive Sangria I have ever had, albeit it did have rosé champagne in it. Danny had the fried chicken which was bigger than most heads and also one of their signature cocktails. We were way to full for dessert, but never fear you leave with a bag of free cookies which we saved for later and pretty glad we did when we ended up with a 6 hour flight delay to Vegas! This was such a perfect way to end our L.A experience. Reservations are a must, but I booked the day before so not impossible to get. On our last day after lunch at The Ivy we walked to Beverly Hills. We were both so full from lunch and it was such a nice day that we really needed the walk, but then we also realised it was pretty far and in L.A walking terms, very far. But it’s totally possible and it was great to just walk around the neighbourhood, you miss so much when in taxis all the time. I really wanted to go to Beverly Hills as it’s so iconic and I also wanted to have a look at the & Other Stories store there. 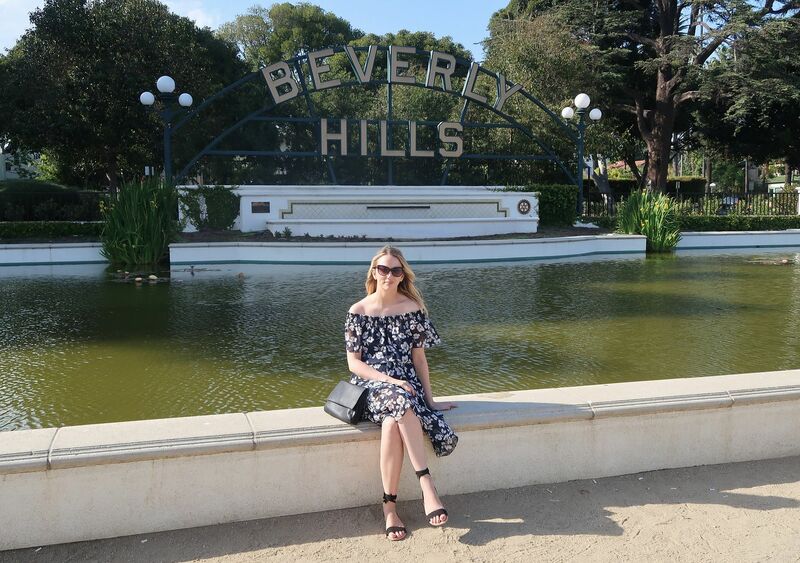 You will also come across the Beverly Hills sign which is great for photo opportunities. Rodeo Drive, most known from Pretty Woman, was like being back on a movie set at Universal Studios. Every shop is designer and every store was huge. If you want some serious shopping you should head here. One thing to note though is that designer brands were much more expensive in the U.S than in the UK. 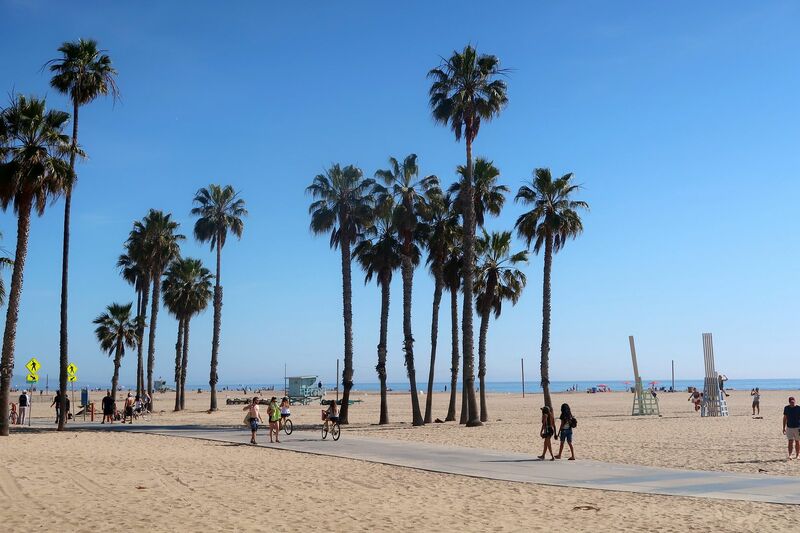 Santa Monica was on my list of must-dos and I really loved this area of Los Angeles. You have the beach, the pier, great shops, restaurants and a really chilled out vibe. We spent a whole afternoon in Santa Monica and also had dinner at Hillstone restaurant, which I’d highly recommend. If it’s your first time to Santa Monica, you have to go to the pier. It is full of all sorts of people and funny acts performing, a mini amusement park and a big wheel. Try your hand on the Zoltar machine or win a fluffy toy. A really fun place to be. Mr Holmes Bakehouse has just one branch in L.A , although I think they are opening a second and I was determined to go for breakfast. The pastries are well worth the trip. We tried out a few different ones, including churro croissants, toffee filled doughnuts and cornflake cookies. You can sit inside and enjoy your treats or take them away in the Mr Holmes box. If the thought of cruffins, Ferrero Rocher crossiants and cookie dough bear claws excite you then this is your place. Now go look at their website and start drooling over your opportunity to get baked! I also really wanted to visit the County Museum of Art (the one with the lamp posts) so I’ll have to save that for my next visit. If you don’t drive you will need to get taxis everywhere, I recommend using the Lyft app. Use my code when you signup for some $ off your rides PAULA21460. Are you planning a trip to Los Angeles or do you have any tips for where to go?